Document libraries have been around since the conception of SharePoint, and they are seen by many users as the backbone of the platform. A document library is a place where you can create, collect, and update files with others. It's used not just to store Office documents, but any kind of file you want to share. Users can have any number (almost) of different document libraries across all of their different sites: company policies, contracts, IT professional files, etc. This flexibility of sites, lists and libraries is one of the more powerful features of SharePoint and Office 365 – allowing end users to build the perfect Information Architecture for them. 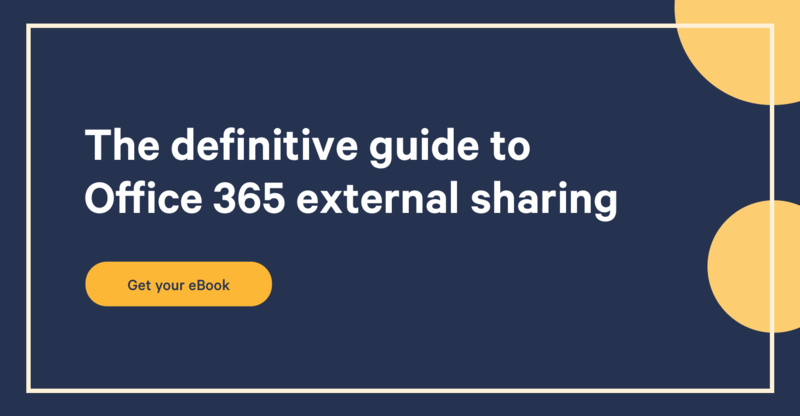 In this blog, we’ll look at the core functionality and features that make up Office 365 document libraries, and what they offer the user. Metadata by definition means ‘data about data’ – it’s descriptive data that allows you to search for your documents. It's an important feature to utilize in any of your SharePoint documents. Views are an incredibly integral part of SharePoint and Office 365, and go hand in hand with metadata. They give users the freedom to see items in a library that are the most important, appropriate, or relevant to them. ‘All Documents’ is the default view of all files, which is quite self-explanatory. However, users can create views that include, or exclude, certain variables: certain file types, authors, dates, projects, etc. Additionally, items can also be viewed alphabetically, chronologically, etc. Basically, if you can envision a particular way you want your list or library to look, views (along with the appropriate metadata fields) will let you do it. A files' ‘version history’ contains information on when the item or file was changed. It's particularly useful when a document is open to a large group of people for work, editing, and feedback. As you reach your review deadline, you can check the version history at any time to see who has made what changes. You can even roll back to any of those versions if you wish. The version column in a document library, if added, shows how many edits have been made to the file, as well as ‘modified’ and ‘modified by’, which show when the document was last modified and who by, respectively. To get a better idea of the activity that the document has seen, the ‘version history’ feature gives an audit trail for the file: which versions were created and when, file size, and any comments left. If you make any changes to the metadata, they will also show up here. Checking in and out, one of the most well-known features, lets a specific user control editing of a file. In these days of ‘co-authoring’ in Office 365, it can almost seem a little ‘old school’, but it's actually very useful. Checking out a document prevents other users from editing or viewing the document you are working on. Then, check the document back in once you’re happy with your changes, and want users to see what you’ve done. If you’re satisfied enough to show others the changes you've made, checking out also allows other users to view – but not edit – the document. SharePoint 2013 gave users the option to be automatically notified by email when changes were made to files or libraries on a SharePoint site, and these are still an integral part of Office 365 libraries. This can save a lot of hassle, when it comes to users making edits of files, for example, as you can be notified instantly, instead of having to constantly check back in the version history every hour. One of the most common enterprise mistakes with SharePoint and Office 365 is having end-users with more access privileges to documents than they should. Controlling employee access to confidential or sensitive content is a challenge for many organizations. So, it’s important to know the details about permissions in SharePoint. You can set permissions to individual users, but you can also apply them to SharePoint Groups - that become valid for all users in that group. So, a good rule of thumb is to use groups to assign permissions, and leave user-based permissions to more specific cases. Also, always assign permissions to the highest level possible; permissions of lower levels are inherited from parent ones. For the most part, site or library levels should suffice. As we mentioned with checking in/out, real-time document collaboration and co-authoring is a big feature in Office Online and Office 365. Understanding the ways in which you can collaborate on documents is important to improving productivity in the workplace - something everyone wants to do! Semiformal co-authoring - Multiple authors can simultaneously edit anywhere in a document. Document libraries store the document, and authors edit on Office Online. Co-authoring - Multiple authors can simultaneously edit in a controlled way, saving content until it is ready to be revealed. Comment and Review - The primary author can ask for edits and comments on the content, but still holds final control on the publishing of the document. Check in/out can assist this feature. Document sets- Authors start workflows on either items within a document set, or the whole set, to manage tasks such as review and approval. Want to learn more about Office 365? Watch Office 365 MVP Benjamin Niaulin’s “Grand Tour Webinar".